MONTREAL, February 11, 2016 – CargoM, the logistics and transportation metropolitan cluster of Montreal, is proud to announce the arrival of Philippe Noël, the team’s head of development and public affairs. After making his mark in political life for over five years, notably as political advisor to the Quebec minister of Transport, Municipal Affairs, Regions and Land Occupancy, in 2014 Philippe Noël joined the Board of Trade of Metropolitan Montreal team. As analyst responsible for transport, infrastructure, municipal affairs and both commercial and property development, he became aware of the issues affecting the city’s economic development. In collaboration with CargoM, he wrote a special section on the transportation and logistics industry that was published in November 2014 in La Presse newspaper and its digital edition La Presse+. Over the years, Mr. Noël has been recognized for his efficiency and utter mastery of the issues. His knowledge of communications and government relations will contribute to CargoM’s success. 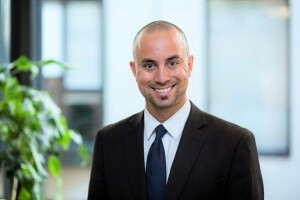 His professional career has also allowed him to develop expertise in municipal issues in the transport sector, and to fully grasp the importance of positioning Montreal as a leading hub and gateway to North America. “No doubt about it, Philippe’s experience in public affairs will be an asset for our industrial cluster’s sector development. Our team wanted someone of his calibre in its ranks to further develop our activities and advance mission-critical files for the industry. His skill set and reputation for dynamism are bound to help us make even more headway. We’re very pleased to welcome him and we wish him lots of success at CargoM,” stated Mathieu Charbonneau, Executive Director of CargoM. The logistics and transportation industry in the greater metropolitan area represents 122,000 jobs in transportation and warehousing, 6,300 institutions and over $4.3 billion in economic benefits for Greater Montreal.